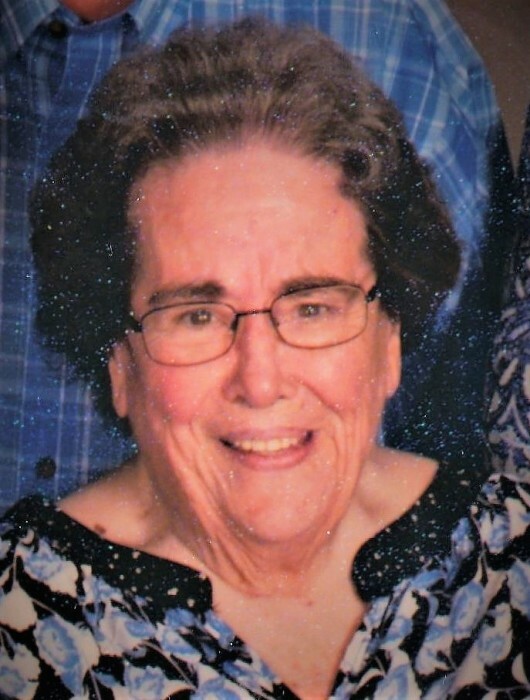 Mrs. Anne D. Harris, 79, passed away Friday, November 30, 2018 at Wayne Memorial Hospital surrounded by her loving family. Mrs. Anne was a loving wife of sixty years devoted to her family. She enjoyed cooking, gardening and sewing. Her funeral service will be Sunday, December 2nd at 4 p.m. at Brownings United Methodist Church, Mt. Olive with visitation to follow the service. Graveside service will be Monday, December 3rd at 11:00 a.m. at Hillcrest Cemetery, Newton Grove. Officiating will be Rev. Arthur Warren, Michael Odom and Garrett Strickland. Left to cherish her memories are her husband; Fred Harris of the home, daughters; Katie Vann and husband Kern of Mt. Olive, Joyce H. King of Newton Grove, son; Shell Harris and wife Lisa of Mt. Olive, six grandchildren, six great grandchildren, sister; Faye Sanderson of Clinton, brothers; Tommy Daughtry of Clinton and Bobby Daughtry of Faison. She was preceded in death by her parents; Shelton C. and Lucille C. Daughtry and brother Kent Daughtry. Services have been entrusted to West & Dunn Funeral Homes, Inc. Newton Grove, North Carolina.